Let's talk about text, baby! Textbooks, for me, have always had a certain kind of allure. Perhaps it’s the sense of a fleeting, semester-long fling. Maybe it’s their chunky form, symbol of opulence only attainable for those who prioritise tutorial participation over mimosas and sourdough. Or, it could just be because I once met a cute guy through a black-market textbook exchange app.Whatever the reason, after stumbling into Co-op, I was accosted by the same sensation that swept across me whilst reading a VICE article titled ‘Photos of People Who Didn’t Get into Berghain’; it’s what’s on the outside that counts. A textbook is only as vogue as its cover. I was adamant to trace down the most avant-garde covers on campus and champion textbooks that transcend their subject matter clichés. Strike this happy medium between ingenuity and pertinence, and the textbooks are guaranteed international claim, or at least another 10 years on the shelves of Co-op. Aerial photography, although a favourite for brunch shots on Instagram, rarely looks good capturing anything else. 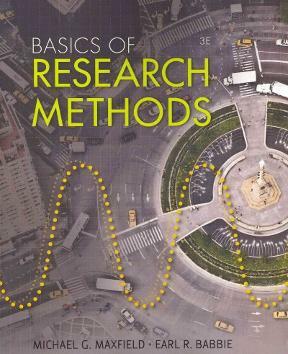 This textbook cover, however, is the one excepton—the zooming cars and large circular roundabout makes any criminology class feel like the first episode of Sherlock. I know from personal experience ‘structured’ and ‘busy’ is a difficult look to achieve, but after one glance of Principles of Marketing I felt a sense of tranquillity. The embedded love react symbol is a nod to millennials that this is no longer the recycled sixth edition. While my Spanish fluency starts and ends with the salsa emoji, the linguistic journey should always begin with a box of tangerines. This explosion of citrus hues creates a visual-gustatory harmony that will leave you dreaming of fruity sangria rather than complex conjugations. The floating dandelion in amalgamates science and the imagination–two offshoots from the flat-earthing genealogical tree, each having evolved to become own intellectual fields. This cover is not only sensual, but also provides Biology majors’ with the tools to wish their way out of their three-hour practical. This is the most perfect integration of title and image I have ever seen. It manages to be abstract and representative at the same time, offering a visual symphony that shocks and captivates. I would proudly place this textbook next to my almond latte over lunch and play ‘tag yourself’ at every opportunity (I’m top right). As someone who thinks about socks a lot, the socks in this cover disclose all you will ever need to know about developmental psychology. While I’m clearly cemented in the Drag-Race-loyalist-rainbow-socks epoch, the subtle maturation of the socks is delightful and offers a comforting sense of linearity.